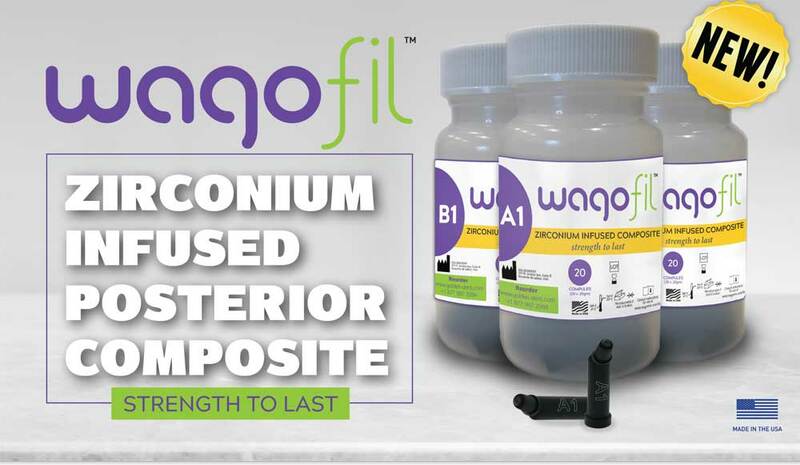 Wagofil™ Ziconium Infused Posterior Composite is a light-cured, radiopaque composite designed for posterior restorations. The proprietary filler in Wagofil is Zirconia which is known in the dental industry for low wear, increased strength, low shrinkage and high radiopacity. Available in Three Convenient & Simple Shades - A1, A2 and B1. Each Bottle contains 20 single-dose compules in 0.20gm.